For the past two months, mostly on Sundays and Mondays, I've been doing Google News searches on "Chicago Shooting." It is fascinating to watch the next Detroit take shape. A surge of overnight violence struck Chicago on the Fourth of July with at least 22 people shot overnight, bringing the total number of people shot since the long holiday weekend began to 37. Democrat Mayor Rahm "Never let a crisis go to waste" Emanuel will not invest in the solutions that can solve these shootings. Those solutions would only pay off long after he's left. He will, instead, pay lip service as most other Democrats do. (There are exceptions as times.) And he won't be able to hide from these shooting, as the liberals progressives communists in the media have not found a way to hide death statistics like they can hide other crime trends. Dependency programs that exacerbate dependency. A culture of death that starts at conception. 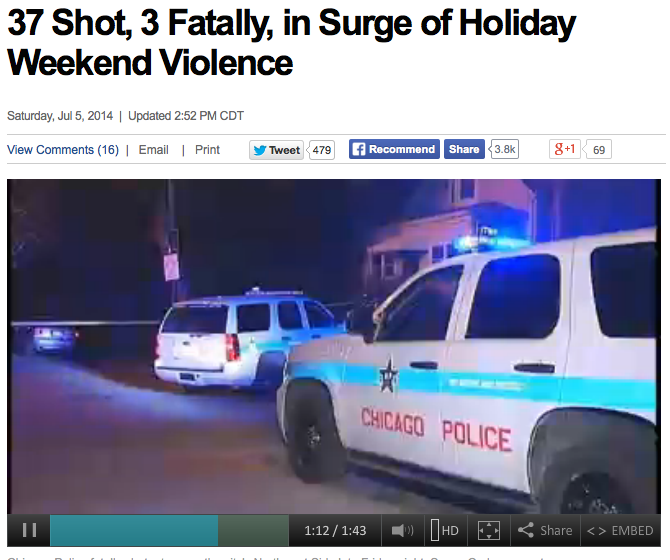 Final tally for Chicago's 3-day 4th of July weekend, from ABC: More than 60 shot, 9 dead in Chicago's Bloody Holiday Weekend. Indiana is getting into the mix now - ABC. 7 shot at Broad Ripple - where comrades Tam and Roberta live - then later a police officer shot and killed there. A Gary police officer was also shot and killed over the weekend. Indianapolis is likely to beat last years' shooting stats. Obama's America. One question for the smart Ushanka readers: Aren't these shooters 'tax receivers,' aka welfare people? If so, isn't every day Saturday? And if so, why do they wait until the weekend to get their violence on? Do they need five days off for every two 'worked?' If we cut their benefits, would that mean they'd have less to spend on ammunition? 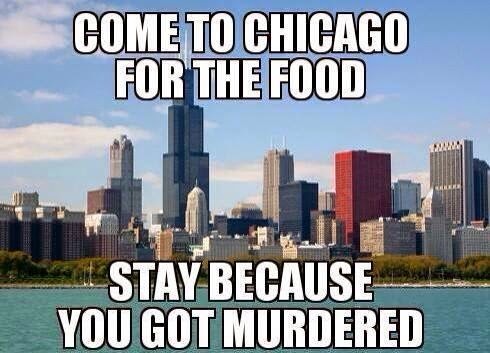 Correction: 82 shot, 14 dead in Chicago (CBS). And in case you think this is a joke, you haven't washed an Italian Beef sandwich down with an Old Style. It is worth dying for.